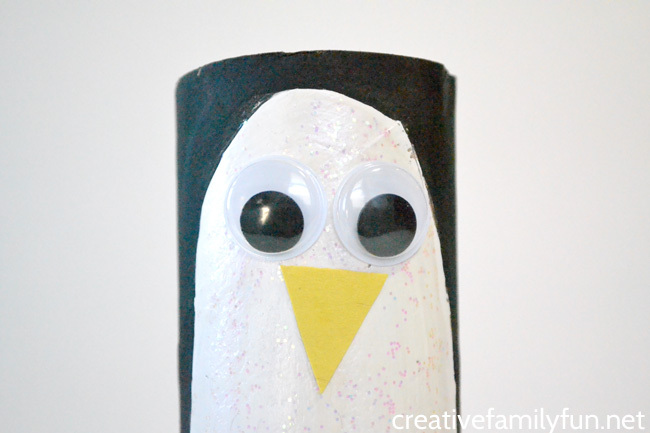 There’s no better way to inspire my kids to do a craft project than to offer up something cute. And, penguins are definitely as cute as it gets. Have you ever met a person that didn’t think penguins were cute? I haven’t. They’re irresistible. So, grab a few supplies and let’s get starting crafting. 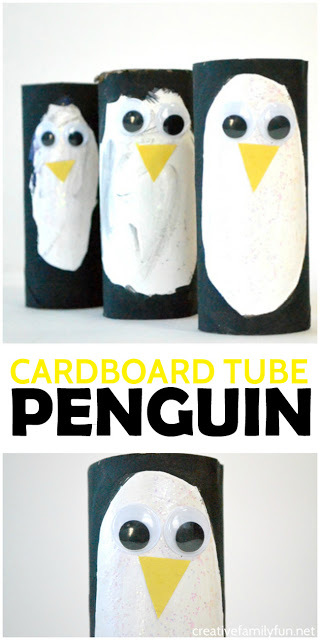 We’ll turn them into a cardboard tube penguin so cute you’ll want to make a whole colony. 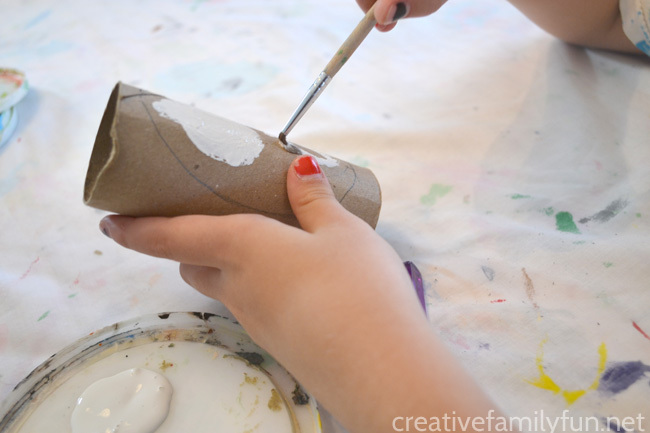 Begin by drawing a large oval on one side of your cardboard tube. Paint the inside of your oval white. 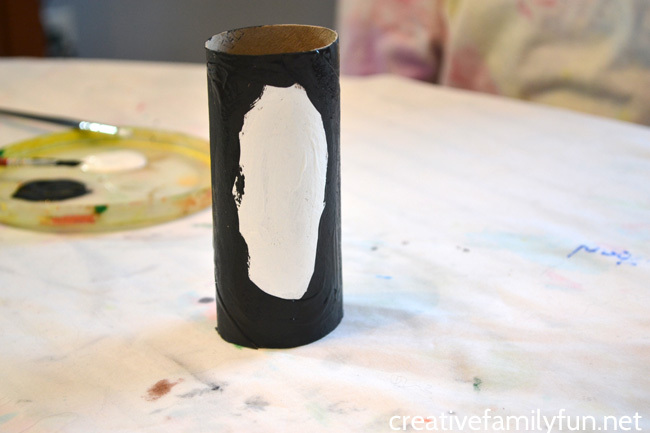 Next, paint the rest of your tube with the black paint. Let it dry a bit before moving on to the next step. Now, it’s time to add a little sparkle. We used some fun glitter paint to paint over our white oval. You could also use glitter glue to add sparkle. After all your paint is dry – and it can take awhile, so go read a penguin book or two while you wait – it’s time to add your face. 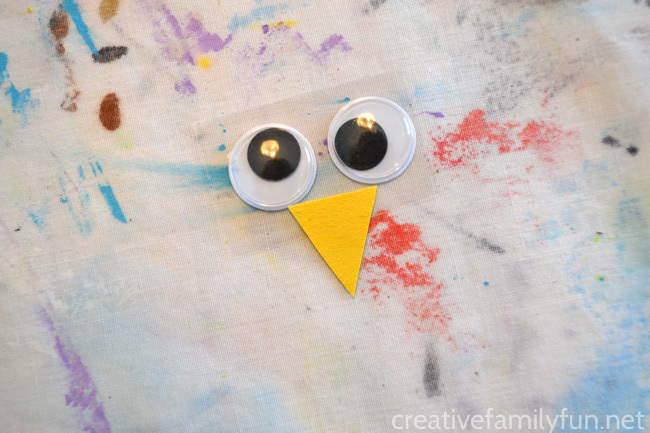 Gather a couple of googly eyes and cut a small triangle out of your scrap of yellow paper. Glue both on the top half of your white oval to create your face. Once the glue is dry, your penguin is done. 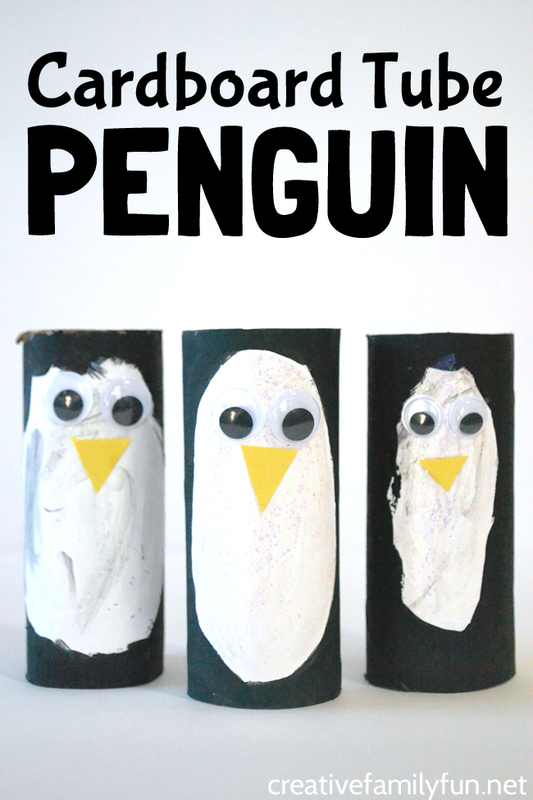 Create a Cardboard Tube Penguin or two or three or more to create your own colony of these cute birds. They’re so cute, they’re irresistible! Crafting with your kids is so much easier when you keep a few supplies on hand. I keep a supply of recycled materials, such as cardboard tubes, cardboard boxes, newspapers, paper scraps, etc. as well as supplies such as paint, construction paper, and glue that we use often. Here are some supplies you may want to keep on hand to make many of the crafts that we share here.